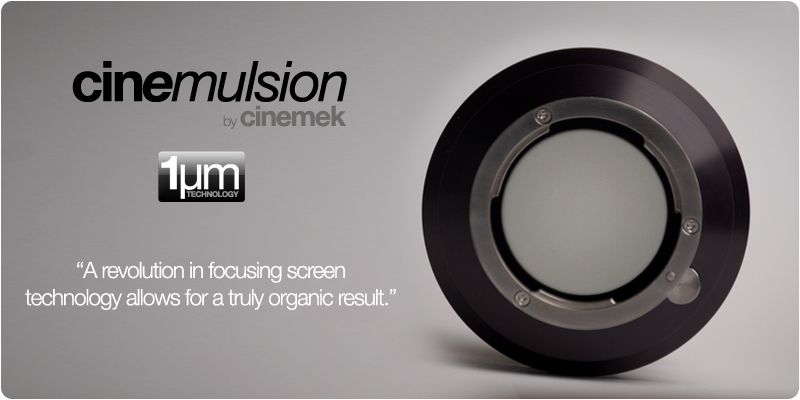 The cinemulsion screen developed by cinemek utilizes 1Micron technology in which every diffraction particle in the screen mimics the shape and characteristics of the silver halide in motion picture film but at a fraction of the size. These diffraction particles slightly lower the overall contrast to your scene allowing your cameras imaging sensors to hold better detail throughout your image acquisition. The result is an image which is devoid of the common pitfalls of video and other means of image capture. Kodak utilizes this approach in its Vision3 emulsions which are designed with telecine in mind. While other 35mm adapters may provide a blurry background allowing the user to defocus specific subjects, their contrast and out of focus areas do not behave as film behaves.